Custom Concrete Poker with company logo etched into the playing field and sits on a metal base. 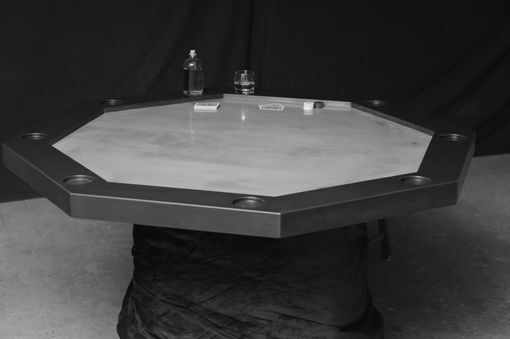 This table is built for 8 players, but can be configured for less if needed. 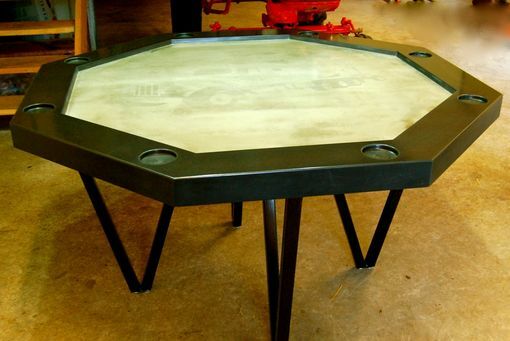 Table is available in any color to suit your needs and custom etching is also available.